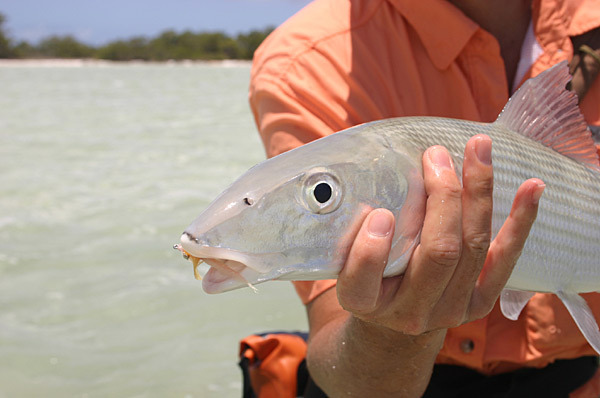 Andros Island is by far the largest island in the Bahamas and arguably contains the world's most famous bonefish flats. It was here that the Crazy Charlie fly was invented using local chicken feathers and fishing line. Many of the world’s best bonefishermen cut their teeth on Andros Island's massive flats. The angling center is at the island’s waist. Here the swaying palms and whispering pine forests are split by three shallow bights creating North, Middle and South Andros and the perfect bonefish habitat. 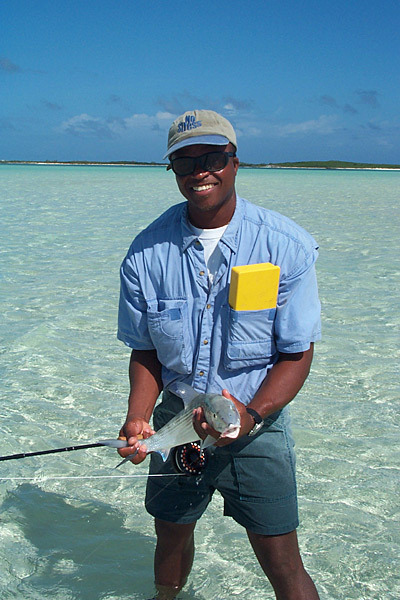 At the North Bight, the average bonefish is 4-5 pounds and double-digit fish are routinely sighted. 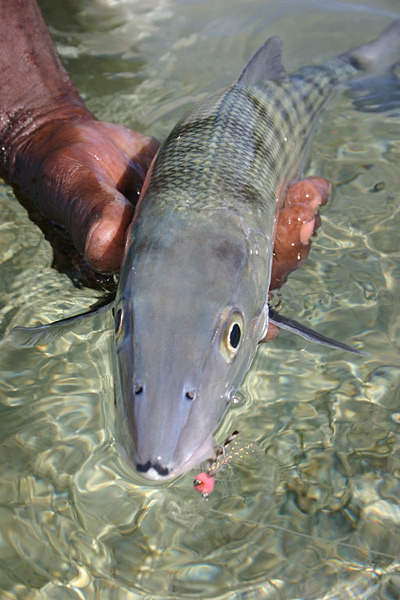 Make no mistake, this is the big bonefish capital of the Bahamas. But there is trouble in paradise. This kind of fishing has brought much attention from the angling community. Over recent years, proliferating lodges have ignored the carrying capacity of their waters opting for short term gain over long term conservation. Angler numbers have not been limited and flats have not been rotated. As a result, the fish have become well-educated and spooky and, in some areas, virtually impossible to catch. Worse still, with a steady stream of eager anglers, guides have settled on a rather leisurely schedule insisting on being back at the dock at 3:30 pm and refusing to motor to the more remote flats where the fish are less educated. As a result of all this “bad for the sport” behavior, Angling Destinations has decided not to book lodges in the area of the North Bight of Andros... until now.Tranquility Hill Fishing Lodge has recognized the problem. This delightful, small lodge, located at the eastern entrance of the North Bight, is just minutes away from the Middle and South Bights where there are miles and miles of beautiful and prolific bonefish flats. 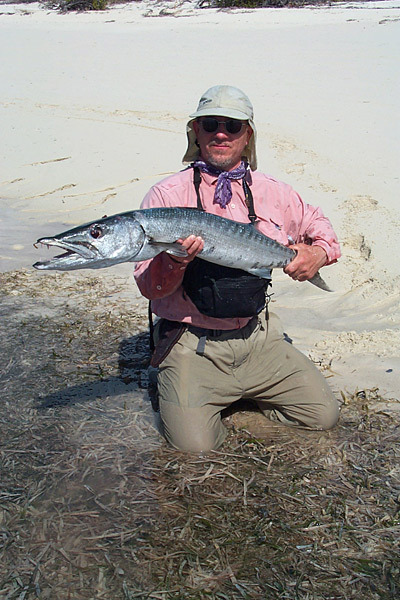 In addition to the extensive bonefish flats, there are three easily reached rocks and reefs where barracuda, permit, Spanish mackerel and mutton snapper abound. The world famous “Tongue of the Ocean” is just five minutes away where you can choose to fish for bluewater species such as dolphin, tuna, wahoo, kingfish, even marlin and sailfish.Tranquility Hill Fishing Lodge is willing to go the extra mile and search out the good fishing opportunities. As such, it is the only lodge on the North Bight to which we can give an unqualified endorsement. They have a well trained and attentive staff and excellent, experienced guides using new Dolphin skiffs powered by 40hp motors. Meals are prepared Bahamian-style with seafood being the speciality. Special meal requests are cheerfully accommodated. There is a full service bar and a spacious lounge looking out over the flats of Andros. But the most important component present at Tranquility Hill is an overall attitude that makes one feel welcome and “in good hands”. The seven double, two single rooms are air-conditioned, beautifully decorated and on the ocean.This spot is a real winner. A deposit of 50% is required within 15 days of booking to confirm a reservation. The balance is due 60 days prior to arrival. Credit cards are accepted; however, there will be a 4% service charge for the use of a credit card. Deposit is refundable, less a $100 per person processing fee, if written cancellation is received at least 90 days prior to the trip. A 50% refund will be made to client if written cancellation is received 31-89 days prior to the trip, and no refund will be made if written cancellation is received 30 days or less prior to the trip, unless a substitute angler is found, in which case a full refund will be made less a $100 processing fee. Receipt of deposit is acknowledgment that registrant has read and accepts the cancellation/refund and responsibility clauses.